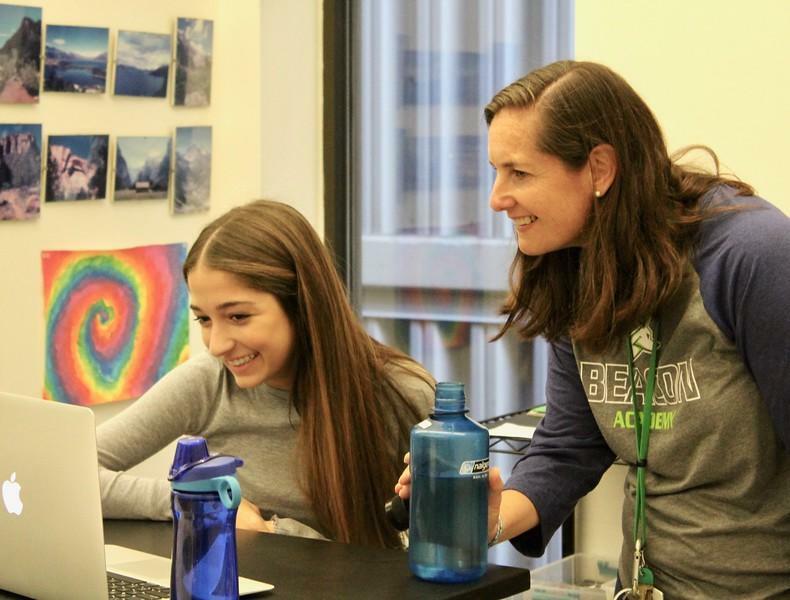 Beacon students have the opportunity to explore their own interests and passions within the context of a robust, vibrant curriculum delivered by committed, caring faculty members. Our curriculum is designed to provide a broad base of knowledge while also allowing room for our students to follow a path that is self-designed. All of our students are prepared for the academic rigors of college. More importantly, however, Beacon students learn to navigate the real world with a sense of purpose by their engagement in their courses with faculty and other students, the flexibility of their schedule, and the opportunities they have to be the architects of their own education. 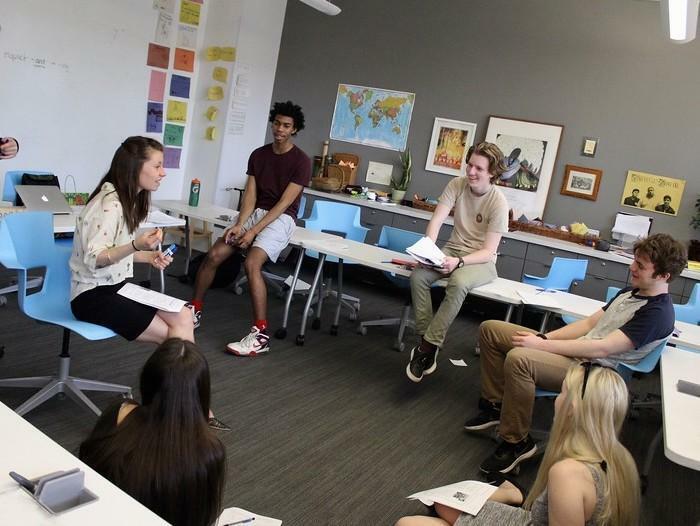 9th and 10th grade students take several of their courses in a cohort, following the Montessori approach to shared mixed-grade classes. These core courses include: Integrated Science, American History, and World Literature. In addition, 9th-10th graders might share their other classes (world language, arts electives, math) with students ranging from other 9th-10th graders to upperclassmen. The first two years of study prepare students to pursue more advanced classes as 11th and 12th graders. Please see below for a summary and download a clickable pdf below.